Günay Dağ, a lawyer representing 17-year-old H.İ. 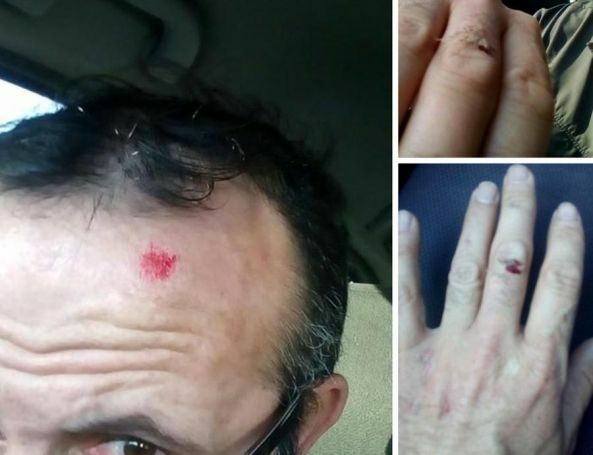 in İstanbul’s Maltepe youth prison, has been battered by custody guards after he asked questions about the authenticity of allegations of torture on his client. Dağ has stopped by the Maltepe youth prison in order to meet with H.İ. who went on a hunger strike after he was reportedly tortured and forced into solitary confinement. Prior to a visit to his client, Dağ met with the manager on duty of the Maltepe youth prison, identified only by his first name Uzay, in order to check out if the allegations were true. “He is bearing the consequences of his disrespect to prison rules,” Uzay told Dağ. When the lawyer warned him about legal results, Uzay ordered prison guards to take Dağ out of the room. After Dağ fell to the ground amid commotion, guards kicked at him, leaving scars and bruises on his body, Cumhuriyet daily said. Torture allegations have substantially increased in Turkey as the government bestowed broader authorities to law enforcement officers under post-coup emergency rules, since July 15.